Fifty newly selected projects and programs were added to the ISS National Lab portfolio, more than half of which required no ISS National Lab funding. An expanding subset of projects and activities in tissue engineering and regenerative medicine promise to advance biomedical discovery and improve quality of life. Growing activities in fluid physics and materials science drove collaboration and in-orbit breakthroughs. Sustainability and crystal growth continue to be priority R&D areas that are likely to have tangible impact on our planet and its inhabitants. Newly selected projects in FY18 showcase the diversity of the ISS National Lab portfolio and promise tangible return to the U.S. public. Additionally, specific research themes emerged as prominent focus areas in our FY18 portfolio and activities, addressing larger challenges with real-world implications and potential future manufacturing capabilities: regenerative medicine improves human health and longevity, and advanced materials drive technology innovation and influence how we communicate and how we construct the built environment around us. Additional projects from the Colgate-Palmolive Company, Princeton University, Sanofi Pasteur, and the National Cancer Institute are also well-known additions to the growing portfolio. For the full list of FY18 new projects and programs, see http://issnl.us/ar1848. ~50% of new projects in FY18 required no ISS National Lab funding. 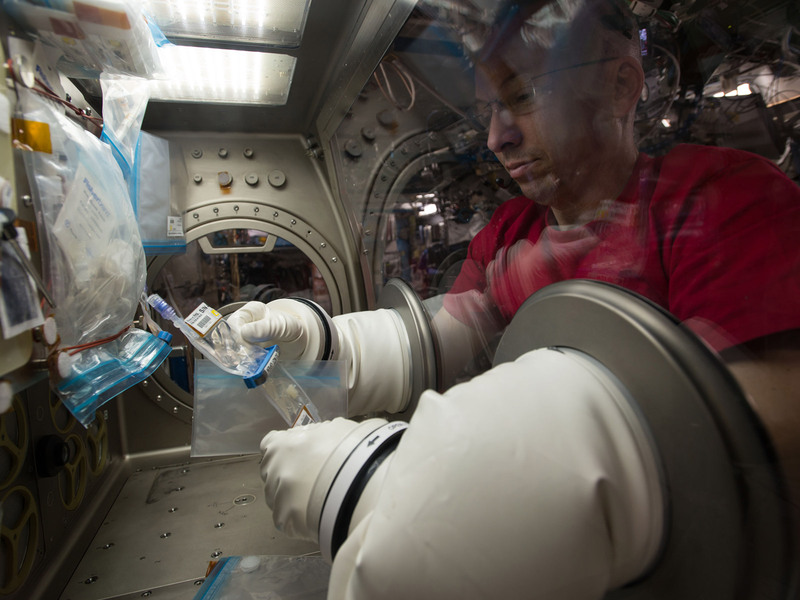 R&D onboard the ISS in the broad field of regenerative medicine spans from cell-based studies to organoid growth and 3D printing of human tissues. We released our first research solicitation in regenerative medicine in 2013, focused on stem cell R&D, and have since flown 12 related payloads and expanded our portfolio to include tissue chips, a biofabrication facility, and other investigations—35 projects currently served by eight members of our service provider community. One payload delivered in FY18 is a MassChallenge-funded project (see Research Competitions) from LaunchPad Medical, which used tissue culture on the ISS National Lab to test an injectable biomaterial, Tetranite™, that can glue bones together following a fracture and then naturally dissolve. This glue may both speed new bone growth and reduce recovery time and pain for the 50% of women and 25% of men over 50 who experience fractures. Other recent examples of ISS National Lab activities in regenerative medicine include multiyear programs funded by NIH and NSF, totaling $26 million in grant commitments and including several competitions issued this year (see Research Competitions). Newly selected NSF-sponsored projects in FY18 will focus on advancing progress toward liver organ bioengineering and use of tissue-engineered muscle to study disease. Three of the FY18 peer-reviewed publications related to ISS National Lab R&D also detail results in regenerative medicine (see Publications), bringing the total publication count for this focus area to 18. Advance research in organ growth, toward addressing the shortage of organs for transplantation. 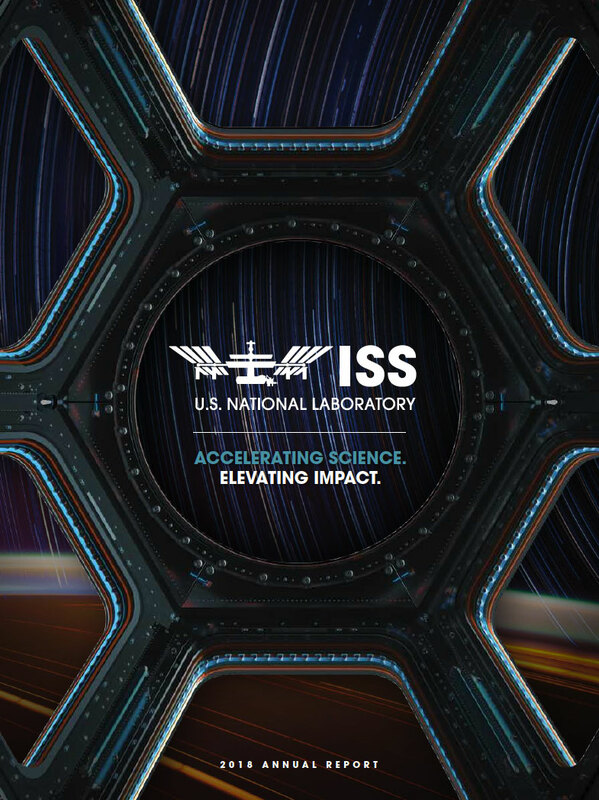 The ISS National Lab released its first solicitation in materials testing in 2012 and has since issued several solicitations related to materials science, three in collaboration with NSF. These programs expand our user base involved in upstream R&D as well as in-orbit manufacturing and commercially operated facilities. New advanced materials activities in FY18 include installation of a commercially operated external materials exposure facility (see In-orbit Activities Onboard the ISS National Lab), activation of a system to manufacture ZBLAN optical fibers in space (see Success Stories), and award of a new 3D printing technology education program from Harris Corporation. Within the ISS National Lab portfolio, 28 projects in collaboration with eight service providers relate to advanced materials R&D, and nine of these projects have flown to the ISS. The behavior of materials in their fluid state affects the properties of the solid material (e.g., metal alloys and semiconductors used in electronic circuits, optical fibers, and solar cells). In the absence of gravity, fluid behavior is altered and enables the development of advanced materials and better manufacturing processes on Earth. Exposure to the extreme conditions of space also makes the ISS National Lab an ideal platform for accelerated testing of material durability. Additionally, the ISS National Lab co-sponsored an advanced materials workshop with NSF in FY18 focused on how microgravity and extreme environmental conditions enable LEO-based R&D that is impractical or impossible on Earth. Our workshops bring together experts in space-based R&D with thought leaders in key research areas to identify how the most pressing knowledge gaps in the field intersect with the demonstrated value of the ISS to build a roadmap for viable LEO-based programs. 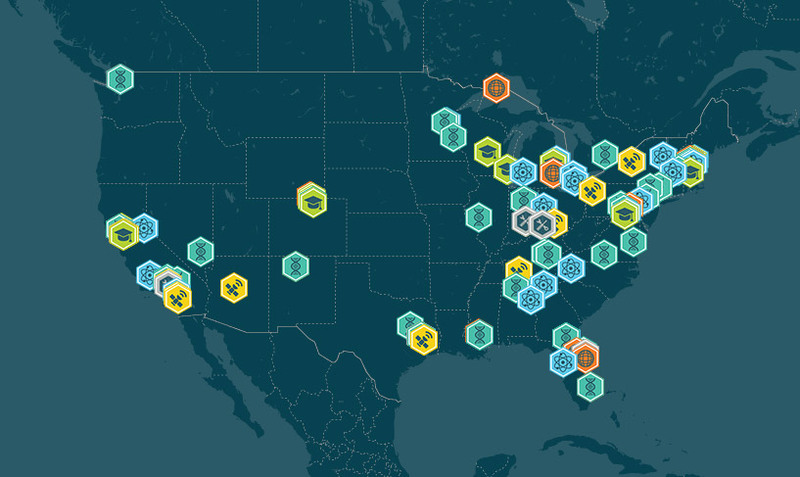 The ISS National Lab provides an ideal platform to evaluate technologies for improvements in ecosystem monitoring, manufacturing, and agriculture as potential solutions for a healthier planet. Sustainability bridges all of the science verticals we support, and related projects comprise approximately 13% of our portfolio. For more information, see http://issnl.us/ar1844. The University of Wisconsin–Madison will examine how cotton plants respond to the stress of microgravity. Upstream Tech will use Earth imaging to enable automated monitoring and analysis of cotton agriculture. ISS National Lab–sponsored organic crystal growth investigations began launching to the ISS in 2014, and many have yielded high-quality crystals for analysis. Most projects focus on structural determination for drug design, but others aim to improve drug formulation, manufacturing, and storage. For example, scientists from Merck & Co. performed an ISS National Lab experiment to grow millions of highly ordered, uniform crystalline particles of the therapeutic monoclonal antibody Keytruda, Merck’s anti-cancer immunotherapy drug. Results from this research could lead to a better method of delivery to patients. For more information, see issnl.us/ar1839. Continued progress in R&D related to spaceflight crystal growth also refined strategy and set the stage for further advancement. In July, we held a Microgravity Molecular Crystal Growth (MMCG) workshop at the Hauptman-Woodward Medical Research Institute in Buffalo, New York, to gather input on the ISS National Lab MMCG Program from experts across the field of crystallography. The objectives of the workshop were to discuss progress made toward the goals outlined in the 2015 Protein Crystal Growth workshop, identify steps to accomplish remaining tasks, present new opportunities, and formulate future goals for the MMCG Program.